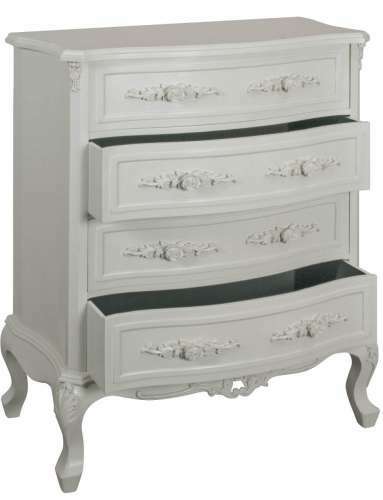 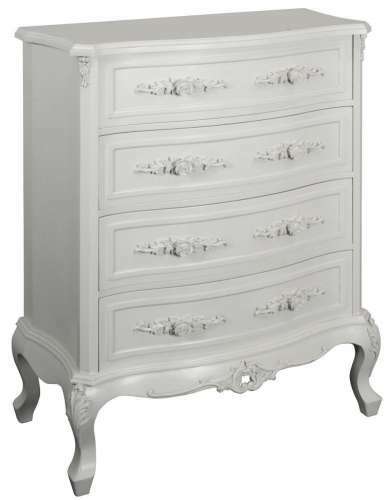 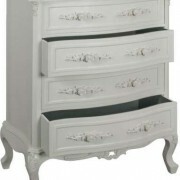 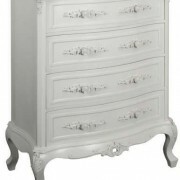 Distinctively feminine period shabby chic 4 drawer chest of drawers. 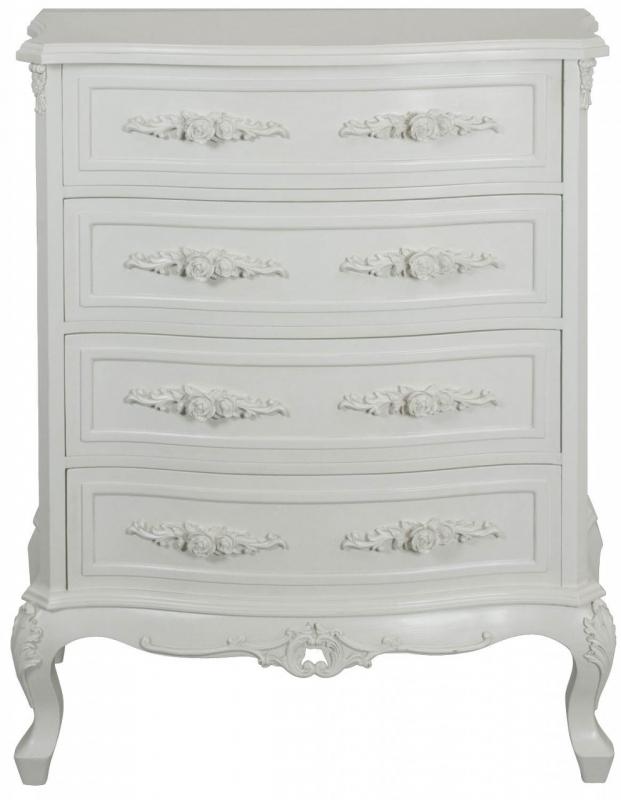 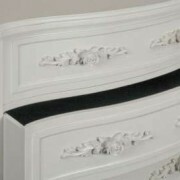 White distress painted with ornate carved detail & rose buds applique handles to give an enduring finish. 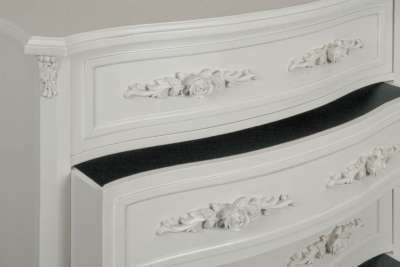 Small imperfections may occur as this furniture is handmade, and hand finished.